FRANKFURT -- General Motors Co.'s Opel unit denied a report that it is considering the sale of its Eisenach plant in eastern Germany where it builds the Corsa subcompact. A report in the German business newspaper Handelsblatt on Thursday cited a person familiar with the situation as saying it was conceivable that an investor for the plant could be sought. Opel said it has no plans to sell the plant. "This speculation is completely baseless and incorrect," the company said in a statment. Eisenach built 139,185 Corsas last year. It is due to add production of a minicar code-named the Junior. Opel recently cut production at Eisenach by slashing working hours to as little as 30 per week from 38 until the summer, when pre-launch production slowly begins for the Junior. The money-losing unit is under pressure from GM CEO Dan Akerson to cut excess capacity. As economic weakness across Europe hits car sales, Akerson estimates that manufacturers have 10 plants too many across the region. 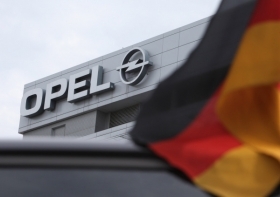 Media reports have said plants at Bochum in Germany and Ellesmere Port, England, are most at risk of closure, but Opel's supervisory board adjourned a meeting on Wednesday without reaching a decision on restructuring measures. Under a restructuring concept dubbed "Viability Plan 6" drafted during the post-Lehman crisis but never fully implemented, Opel management proposed the simultaneous closure of its Antwerp, Belgium, and Bochum plants and the sale of Eisenach. Opel invested 190 million euros ($252 million) last year to expand Eisenach, the biggest investment since the plant began production 20 years ago, to increase the number of components built in-house.